Learn how water damage cleanup technicians can protect your home in Concord and its surrounding areas. It’s almost the end of the month and your budget is tight. An unexpected water disaster is not helping your financial stress. Perhaps you are questioning if you should hire a professional to clean and restore the water damage, or if you should just do it yourself? Although there are specific steps you should take before a restoration company arrives, the consequences of not hiring professionals will have long-term effects on your home and health. Water damages cause mold and mildew, structural damage, and furniture deterioration. 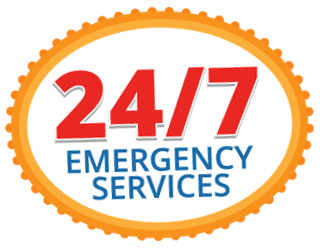 Most restoration companies offer 24/7 emergency water damage assistance and restoration services, so don’t hesitate to call, even if it’s the middle of the night. Be sure to bring up any details about the situation that might affect the cleanup process (such as black water in your property from a sewer burst). The restoration process can be tricky, so you should be sure to hire only IICRC-certified technicians. This ensures that the problem is addressed correctly the first time. Here are three reasons why hiring a professional can protect your home and health. Within minutes of a water leak, moisture and humidity begin to form mold and mildew. If your home is not examined properly, the fungus will spread in unseen areas of your home. Mold can affect your respiratory system and cause coughing, wheezing, congestion, and throat irritation. In some cases, mold causes skin irritation and lung diseases. Water causes an alarming amount of damage in a short period of time and much of it is seen under the surface. Water seeps into the floor, behind walls, and in the ceiling causing structural damage to your property. Once the wood is exposed, it begins to swell, warp, and rot. Timing is crucial to protect your home. If the correct techniques are not applied immediately, your property’s structure eventually deteriorates and creates an unsafe environment for you and your family. What is affected by a water disaster? Everything the water touched. Damage cleanup is a stressful job if done alone. So allow professionals to take care of the problem for you. Using state of the art technology and certified techniques, the professionals extract water from the flooded area. Once all water is extracted, technicians dry the structure, thereby preventing walls, ceilings, and floors from collapsing due to unrevealed water damage. Next, technicians work on mold removal. They repair or replace any areas that may contribute to structural damage. If you’ve hired a good flood damage cleanup company, the last step in the water restoration process should be preventative work. This step helps reduce the risk of your home or business flooding again. Depending on the damage, this process is accomplished in two to five days. All Brite not only removes water damage from your home, they clean and restore your property—all handled by IICRC-certified restoration pros. So when your basement is flooded, they can restore any carpets, appliances, and upholstery furniture. If water damage cleanup is done alone, you risk the safety of your property and loved ones. Professionals will not only finish the job in a short amount of time, but the overall expenses will also save your budget in the long run. Call All Brite Restoration in Concor immediately after the water stops rising to prevent long-term damages. The most important thing? Do not wait! Putting off a restoration service will cause long-term damage, which ultimately means long-term expenses. Save your time, money, and energy and call the flood damage cleanup professionals as soon as you notice any problems.